OMG. This rubbish again. 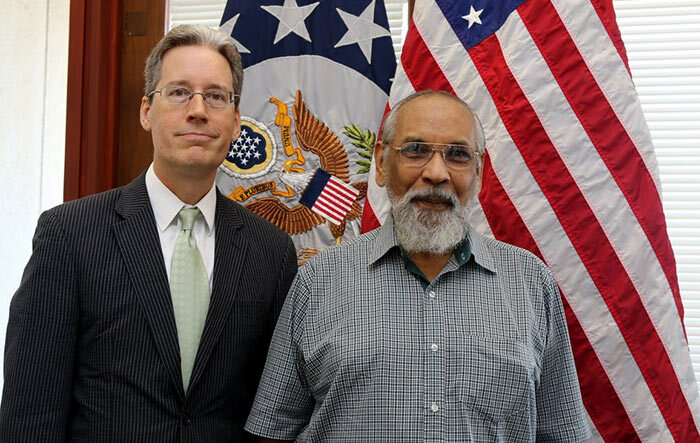 Is This Vigneshwaran and the stupid UN going ask for accountability from the LTTE leaders still around the world for accountability for the crimes committed by the LTTE during those decades of war. Why are our current leaders allowing this totally one sided affair to go on. Why don’t our leaders ask them to mind their own business and fix the humanitarian issues in their own countries. Like the thousands of children taken away form their parent because Donald Trump does not give a damn. Why don’t they stop the human suffering in Syria. Why keep on this one sided issue for a war that ended long a go with so many innocent Sinhalese ,Tamils, Muslims & Christian dying in the process.Are life’s of Tamils more important than the rest of Sri Lankan’s. The US is not worried about humans sufferings in Sri Lanka, they are very worried about the massive Chinese influence in Sri Lanka. Now the only way to blackmsil Sri Lanka is by using all these UN nonsense. This is absurd because OMP is headed by the same person who accused SL regarding HR violations in Geneva. Co-sponsoring Resolution 30/1 in Geneva is the biggest betrayal of a country done under the patronage of YP government. Mr. Stanley Fernando raised an important question. Is the lives of Tamils are more important than the lives of Muslims and Sinhalese? During the war against LTTE terror outfit nearly 25, 000 SL troops got killed. More than 45,000 maimed. Who killed them? What about to thousands of Tamil Children kidnapped?brain washed put a cyanide capsule around their neck and sent to the war front. Who is talking about these HR violations? We have a central government. How these ministers can take up a meeting with another organization without proper approval? Why SL can’t send a mandate/memo to all the embassies and the organizations as such to always seek central government authority/approval before meeting any ministers or community leaders in the country? If this issue arises, government should summon the chief minister and request for explanation. If situation is uncontrollable should dissolve the council. If those decisions can’t take by the president, then we don’t need such person to rule the country.